Training material produced by the Federal Bureau of Investigation for local law enforcement in 2017 lists pro-choice activists, and especially advocates who volunteer at abortion clinics as patient escorts, as a domestic terrorism threat akin to that posed by to pro-life extremists. Anna Merlan first reported for Jezebel that briefing documents the FBI gave to local law enforcement agencies in 2017 warned officials about a potential domestic terrorism threat purportedly posed by “pro-abortion extremists.” The documents, acquired by the nonprofit government transparency group Property of the People, issued this warning while also conceding that “pro-abortion” extremists don’t exist in a violent capacity, save for one person who acted independently of any advocacy group. The document obtained by Property of the People describes “extremism” in the pro-choice movement to belong to those who “believe it is their moral duty to protect those who provide or receive abortion services.” This would include clinic escorts who volunteer their time to walk clinic staffers and patients into clinics to help ensure their comfort and safety. Anti-abortion extremists have a long track record of violent acts against abortion providers that include bombings, murders, attacks, and clinic vandalism. 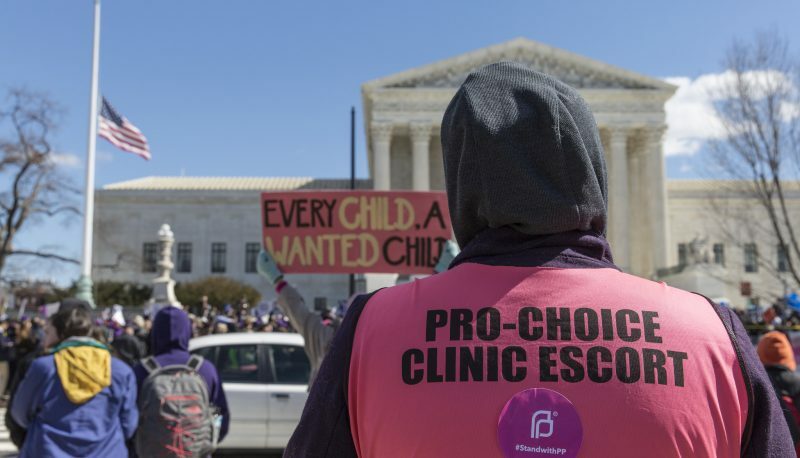 An industry survey in 2017 found that abortion clinics have experienced a major increase in incidents of trespassing, obstruction, and blockades in recent years, CBS News reported.